Our services include a range of recreational, respite and educational activities for children and their families, which are offered alongside support, information and advice. Khaas combines cultural competence in working with the BME community with a workforce with the skills and knowledge to deliver services that meet the needs of the community we work with. We are a small staff team of two part time co-ordinators, a part time development worker, supported by a number of sessional staff who lead our activities sessions. Provide consultation and advocacy for children with disabilities and their families, across the City. Involve disabled users’ siblings in play and other organised provision. Partnership work with other local community organisations to provide a stronger voice. Information and discussion workshops with health professionals. Khaas is the only service of its kind in the South West that has worked across the Bristol area delivering services to improve the lives of disabled children, their carers and families for over 25 years. The services include a range of recreational respite and educational activities for children and their families, which are offered alongside support and information services. 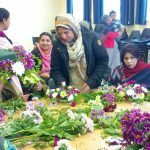 The organisation combines cultural competence in working with the community with a workforce with the skills and knowledge to deliver services that meet the needs of disabled children and their families. The organisation was formed in response to research undertaken in the Asian community by Health, Social and Asian community workers. The research identified specific needs of the families, who felt isolated by language and cultural barriers. Khaas seeks to promote the comprehensive needs of disabled children, their carers and families. The aim of the organisation is to promote the education, welfare and benefit of disabled children and their families and also to bring together carers who are suffering from social isolation and depression. We aim to provide an opportunity for them to meet other carers who are in similar situations, where they are able to socialise, share problems and experiences and give each other mutual support to ease the pressures of caring. Khaas endeavours to offer equality of opportunity and access in all the work that we do. We regard each child, young person and adult as a unique individual and value the community and their personal background; including culture, religion, language, personal achievement and home experiences. The project empowers and enables children with disabilities and their carers to have access to relevant and appropriately designed community based resources to improve their quality of life. Our staff team consists of two Project managers, Parent Support Worker, Carer Development Worker, and a dedicated team of experienced sessional workers and volunteers. The project is supported, managed and guided by a voluntary Management Committee. We liaise with other agencies and work in partnerships to provide a professional integrated service. Bristol City Council has continued to support us with funding for our Saturday Respite Care and Young Carers group. 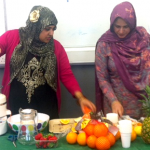 Khaas has funding for the Carers project from Reaching Communities Fund. With funding from the Lloyds TSB Foundation we have been able to continue with the post of Parent Support Worker, a much needed and valued member of staff. This organisation not only offers one to one support and non-judgemental advice, but the families are also encouraged to get over their feelings of guilt, shock, anger, anxiety and isolation of being a carer of a special needs child. The most essential thing anyone can learn from our work is giving the Disabled children and their carer a platform to be able to say what they need, this makes a huge difference to the quality of their lives as it gives them the confidence to be able to discuss openly their needs and requirements. This in turn helps them to access services which they need. Khaas acts as advocates on their behalf. At present we have about fifty families who are registered with us. On average about thirty Carers attend each session. Khaas has regular newsletter which gives information to all our Carers. Feedback is gathered by verbal feedback, questionnaires, regular open meetings and regular discussions. Khaas has a display/notice board which advertises our services and activities. This is displayed during the carers sessions and staff are regularly pointing out the different activities which are taking place. Our aim is to provide sibling/young carer and parental support. The child/young person has more friendships, improved social abilities and is encouraged to try more and new activities child/young person experiences improved child/young person is able to express opinions, views and contribute to service design, delivery, choice and evaluation. 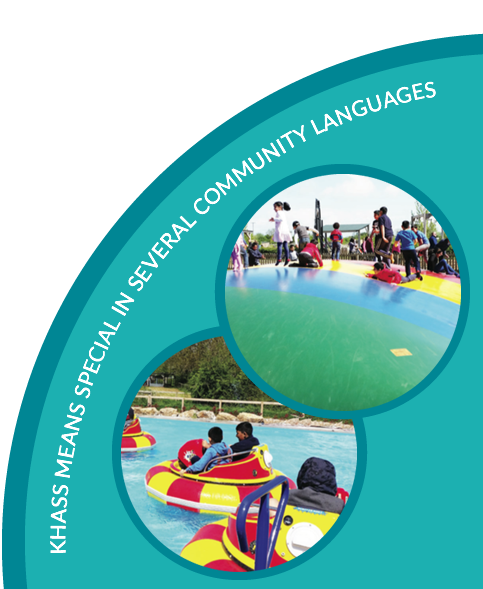 Khaas offers a range of activities for the children and the young carers. These activities are devised so that each child/young carer is getting their needs met. To empower and enable children and young people with disabilities and special needs and their carers, to have access to relevant and appropriately designed community based resources to improve their quality of life. To promote the educational needs of disabled/special needs children and their carers and to provide advice and information on a wide range of issues e.g. health and social services, respite, transport and welfare benefits. 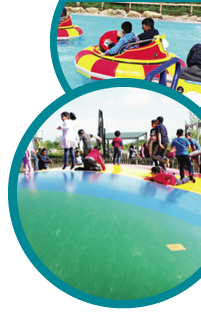 To provide a safe and stimulating environment in which children with special needs and their siblings can play. The service includes: Saturday and holiday play schemes for disabled children & their siblings, the former which is run weekly for around 20 children and during holidays the play scheme runs between 3-4 sessions in half terms and at least 2 sessions per week over the summer. It also includes young carer Saturday sessions for 12-15 females on a weekly basis. Lastly there are family trips 3-4 a year. The families feel isolation, stress and this service seeks to counter this through family support and giving breaks to the families with their children and young people having breaks. The service provides many holistic support needs.